Two images from a scan of 35mm black and white negatives that I took some time in the early 1980s. The location is the south coast of England, I suspect somewhere near Eastbourne. Isobel did a short locus at the hospital there whilst still a medical student and we stayed down there together at the house of some friends. Whilst Isobel worked I would occupy myself with a variety of pointless activities. I did a lot of walking and exposed a good few films. When it rained – and being England, it did of course – I would turn up at the local Crown Court and sit through the Petty Sessions (it was a bit like watching Judge Judy without the adverts). 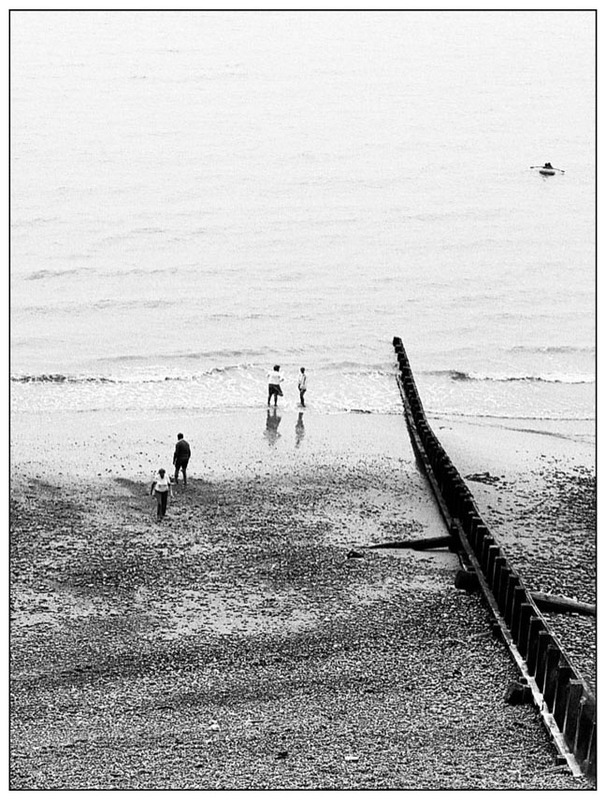 But in particular I remember the bubbled beach – miles and miles of pebbles of every shape and size, all polished smooth by the currents of the English Channel. 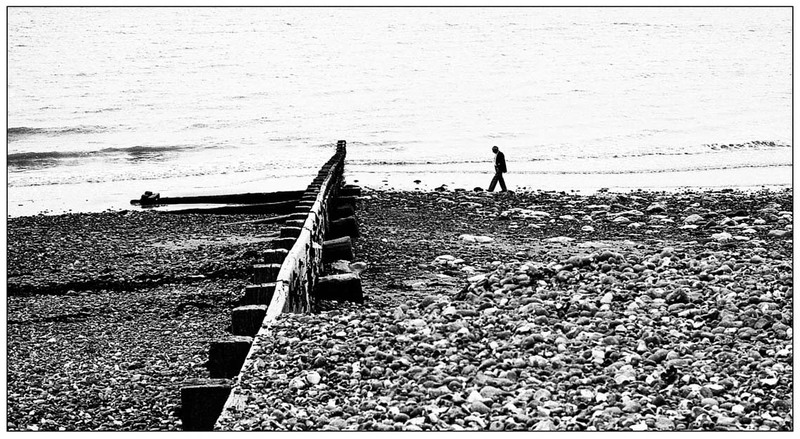 That could be me in the top picture, picking a way through the pebbles, alone with my thoughts. It could be – but it’s not.